The real was a currency of Mexico, issued until 1897. There were 16 silver reales to 1 gold escudo, with 8 tlacos to the real. The peso, which circulated alongside the real and eventually replaced it, was equal to 8 reales. The Bank of Mexico, abbreviated BdeM or Banxico, is Mexico's central bank, monetary authority and lender of last resort. The Bank of Mexico is autonomous in exercising its functions, and its main objective is to achieve stability in the purchasing power of the national currency. In 1920, the Monetary Commission (Comisión Monetaria) issued 50-centavos and 1-peso notes whilst the Bank of Mexico (Banco de México) issued 2-pesos notes. From 1925, the Bank issued notes for 5, 10, 20, 50 and 100 pesos, with 500 and 1000 pesos following in 1931. From 1935, the Bank also issued 1-peso notes and, from 1943, 10,000 pesos. These notes are printed by the American Bank Note Company. New serie of notes are printed and issued by the Bank of Mexico, starting in 1969 with 10 pesos, followed by 5 pesos in 1971, 20 and 50 pesos in 1973, 100 pesos in 1975, 1,000 pesos in 1978, 500 pesos in 1979 and 10,000 pesos in 1982. Production of 1-peso notes ceased in 1970, followed by 5 pesos in 1972, 10 and 20 pesos in 1977, 50 pesos in 1984, 100 pesos in 1985, 500 pesos in 1987 and 1,000 pesos in 1988. 5,000-pesos notes were introduced in 1980, followed by 2,000 pesos in 1983, 20,000 pesos in 1985, 50,000 pesos in 1986 and 100,000 pesos in 1991 . All Series C notes had brand new designs and were printed with the date December 10, 1993, but they were not issued until October 1994. The word "nuevos" remained and banknotes in denominations of 200 and 500 nuevos pesos was added. The 500 nuevos pesos note was worth more than US$100 when it was introduced, but its value dropped to almost equal to $100 by the end of 1994. On December 19, 2005, $100, $200, and $500 MXN banknotes include raised, tactile patterns (like Braille), meant to make them distinguishable for people with vision incapacities. This system has been questioned[ citation needed ] and many demand that it be replaced by actual Braille so it can be used by foreign visitors to Mexico not used to these symbols. The Banco de México, however, says they will continue issuing the symbol bills. A Mexican dollar used as currency in Tokugawa Japan, countermarked with "Aratame sanbu sadame" (改三分定, fixed to the value of 3 bu ). The quetzal is the currency of Guatemala, named after the national bird of Guatemala, the resplendent quetzal. In ancient Mayan culture, the quetzal bird's tail feathers were used as currency. It is divided into 100 centavos, or lenes in Guatemalan slang. The plural is quetzales. The Philippine peso, also referred to by its Filipino name piso, is the official currency of the Philippines. It is subdivided into 100 centavos or sentimos in Filipino. As a former colony of the United States, the country used English on its currency, with the word "peso" appearing on notes and coinage until 1967. Since the adoption of the usage of the Filipino language on banknotes and coins, the term "piso" is now used. The peso is the currency of Argentina, identified by the symbol $ preceding the amount in the same way as many countries using dollar currencies. It is subdivided into 100 centavos. Its ISO 4217 code is ARS. The córdoba is the currency of Nicaragua. It is divided into 100 centavos. The Sucre was the currency of Ecuador between 1884 and 2000. Its ISO code was ECS and it was subdivided into 10 Decimos or 100 Centavos. The sucre was named after Latin American political leader Antonio José de Sucre. The currency was replaced by the United States dollar as a result of the 1998–99 financial crisis. The lempira is the currency of Honduras. It is subdivided into 100 centavos. The boliviano is the currency of Bolivia. It is divided into 100 cents or centavos in Spanish. Boliviano was also the name of the currency of Bolivia between 1864 and 1963. The colón is the currency of Costa Rica. The plural is colones. The ISO 4217 code is CRC. 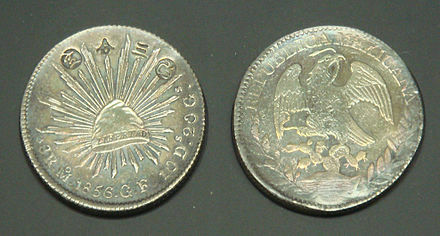 The peso was the currency of El Salvador between 1877 and 1919. The peso moneda nacional was the currency of Argentina from November 5, 1881 to January 1, 1970, the date in which the Argentine peso ley was issued to the Argentine public. 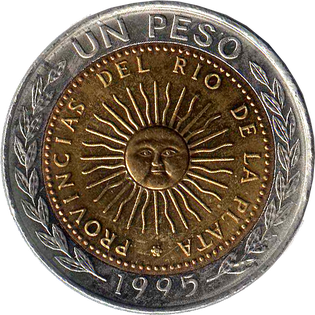 It was subdivided into 100 centavos, with the argentino worth 5 pesos. Its symbol was m$n or $m/n. This is an outline of Uruguay's monetary history. For the present currency of Uruguay, see Uruguayan peso. This article provides a historical summary of the currency used in Venezuela since the end of the 18th century. For the present currency of Venezuela, see Venezuelan bolívar. Currency in Colombia has been used since 1622. 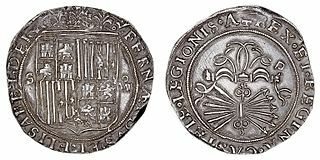 It was in that year, under a licence purchased from King Philip III of Spain, that Turrillo de Yebra established a mint at Santa Fe de Bogotá and a branch mint at Cartagena de las Indias, where gold cobs were produced as part of Colombia's first currency. Silver milled coins date from 1627. In 1831, Gran Colombia dissolved into Venezuela and New Granada. In 1836, in New Granada, new monetary laws were passed, to standardise the money produced in the country. From 1861-1862, due to financial instability, the United States of New Granada accepted British currency, the name of the country becoming the United States of Colombia in 1862. 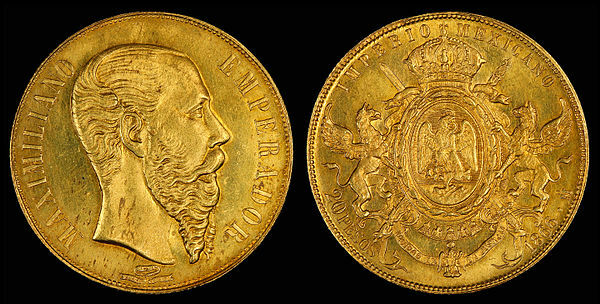 In 1880, Colombia pegged the peso to the gold standard due to the falling price of silver. In 1886, the paper peso was introduced. In 1931, Colombia abandoned the gold standard and switched to the current form of the peso. The article provides a historical summary of the currency used in Ecuador. The present currency of Ecuador is the United States dollar. The first boliviano was the currency of Bolivia from 1864 to 1963. Due to rising inflation, it was replaced with the peso boliviano at an exchange rate of 1000 bolivianos to 1 peso. The peso was later replaced by the second Bolivian boliviano. ↑ Corporation, Bonnier (1 February 1930). "Popular Science". Bonnier Corporation. Retrieved 16 October 2017– via Google Books. ↑ "Triennial Central Bank Survey Foreign exchange turnover in April 2013 : preliminary global results : Monetary and Economic Department" (PDF). Bis.org. September 2013. Retrieved 16 October 2017. ↑ "MXN - Mexican Peso rates, news, and tools". Xe.com. Retrieved 17 February 2019. ↑ Encyclopaedia Britannica. "Maximilian" . Retrieved 25 August 2018. ↑ The Numismatist. 94. American Numismatic Association. 1982. p. 40. ↑ Polsson, Ken. "United Mexican States Coins: Type Collecting - Five Pesos". cointypes.info. Retrieved 16 October 2017. ↑ "Emisión de billetes de 100, 200 y 500 pesos con marcas que permitan identificar su denominación a las personas invidentes" (PDF). Banxico.org.mx. Retrieved 16 October 2017. ↑ Mexico new 50-peso note reported BanknoteNews.com. May 7, 2013. Retrieved on 2013-05-08. ↑ Mexico 100-peso commemorative has error, BanknoteNews.com. Retrieved 2011-09-05. ↑ "Billete de 100 pesos F conmemorativo Const 1917, conmemorativo, Banco de México". www.banxico.org.mx. 1 2 3 4 5 6 7 Mera, Isaid. "Desaparecerá el billete de 20 pesos". 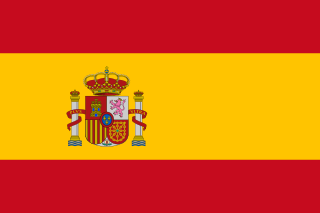 El Financiero (in Spanish). Retrieved 28 August 2018. ↑ "Billete de 500 pesos de la familia G, circulación, Banco de México". Banxico (in Spanish). Retrieved 28 August 2018. ↑ Journals of the Continental Congress, Volume 28. 1785. pp. 354–357. Retrieved 2008-02-05. ↑ "La Bodega Market". Facebook.com. Retrieved 16 October 2017. ↑ "Pizza chain sparks debate by accepting pesos". MSNBC. 2007-01-12. Retrieved 2008-01-30. ↑ Kovach, Gretel (2007-01-14). "Pizza Chain Takes Pesos, and Complaints". The New York Times . Retrieved 2008-01-30. 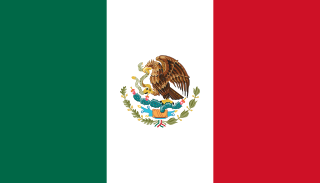 Wikimedia Commons has media related to Money of Mexico .